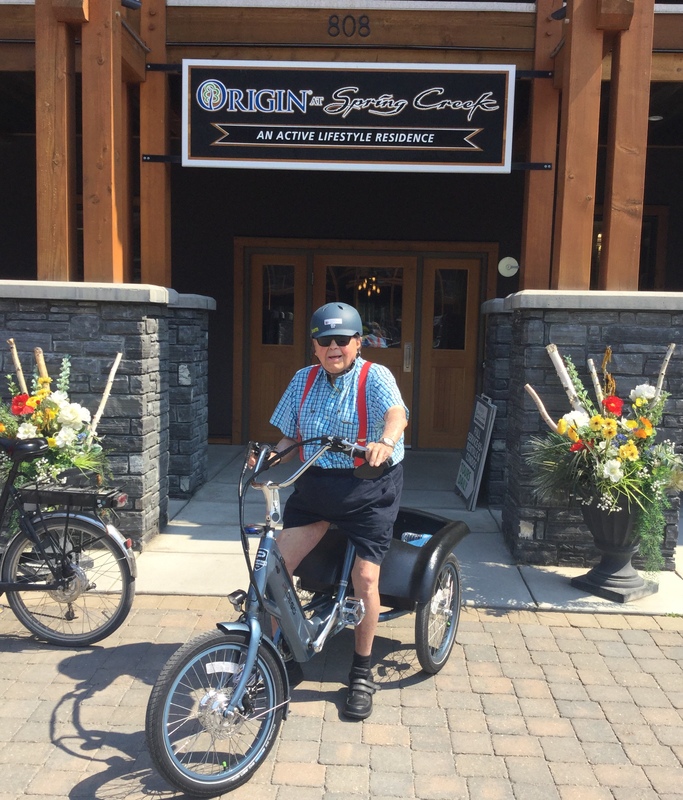 This month, Origin Active Lifestyle Communities is excited to feature an Origin at Spring Creek community member, Eduard, in our March Community Member Spotlight! Eduard grew up on a farm in the small town of Mittelberg, Austria. During this time in his life, he remembers the horses he had and mowing the grass by hand! As Mittelberg is close to the border, he spent some of his early years living in Stuttgart, Germany. Times were rough after World War II, so he had to wait about four years before he could enroll in the university. 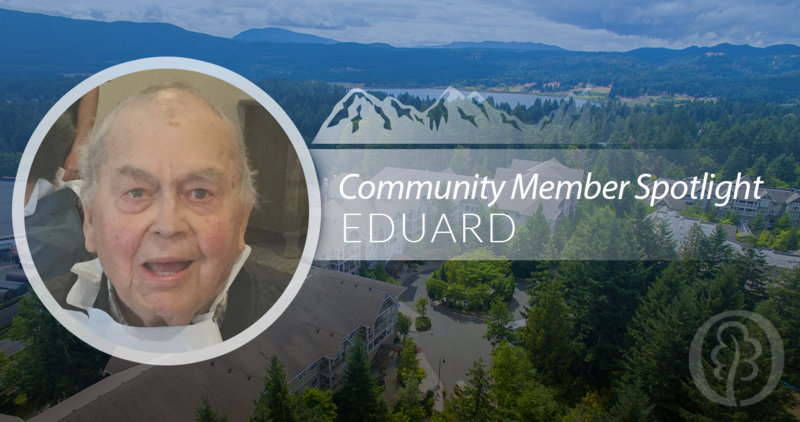 Eduard migrated to Canada in 1954 and met his wife, Hildegard, at Sunshine Village Ski Resort. They were married for 50 years and together, they had a daughter, Therese, and a son, Mike. In 1988, they were able to build their dream house and settle in Canmore. When he was living in Germany, he worked as a mechanic for the Mercedes-Benz car company. When he moved to Canada, he became a licensed pilot so he could fly planes and helicopters! Eduard loves skiing and now enjoys riding his trike. He also enjoys listening to music - especially old German songs. For Eduard, the top three highlights of his life include skiing since he was a boy, immigrating to Canada, and getting his pilot license so he could do what he loves. Eduard was initially sent to Palliative Care in Canmore, but his daughter encouraged him to move to Origin at Spring Creek. He has lived with us for a year and a half and is getting better and better every day! We are so fortunate to have community members like Eduard as part of our Origin family. If you are interested in learning more about our active lifestyle communities throughout Canada, visit our website and schedule a visit today!